One of the comments I hear from art lovers most at art fairs and galleries is, "I don't have any space on my walls." This is so true. So many homes nowadays make it hard to put artwork on your walls. My own house doesn't have any corners that I could put a corner cabinet in. Can you believe it? When I thought about offering my original paintings for sale I wanted to make it as easy as possible for you to display them right away. Since it is hard to find wall space, and everyone has different taste in frames, I knew I needed to come with something simple and classy. An easel was the answer. I've tried these little easels in my own house in several different places. They look great on a desk, tucked into a book shelf, and my favorite place - on an end table. Most of my paintings are small - 5" x 7" or 6" x 6" so they're just right for small spaces. Of course, you can still frame them if you'd like to, but most of the paintings will come to you with these wooden easels. I also offer some paintings on wood blocks. These don't come with an easel. They are meant to stand alone. 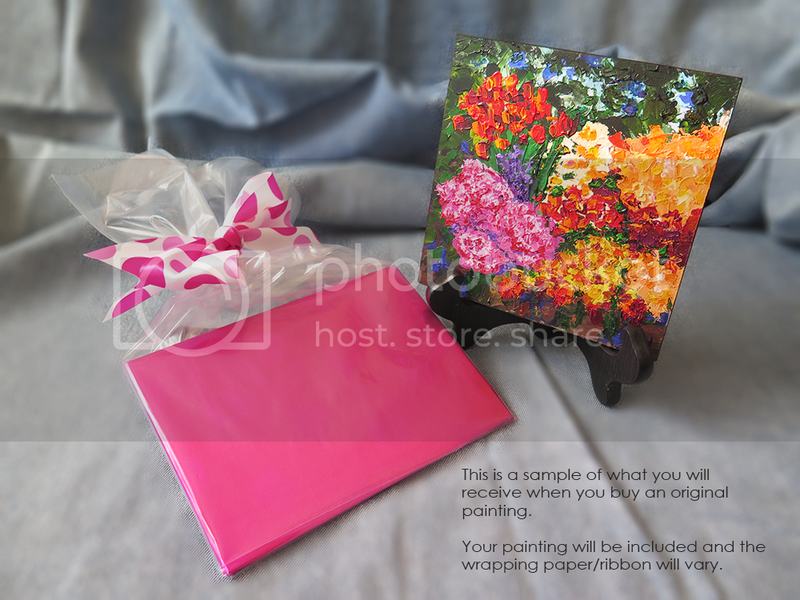 Each painting will come to you wrapped in wrapping paper with a pretty bow. 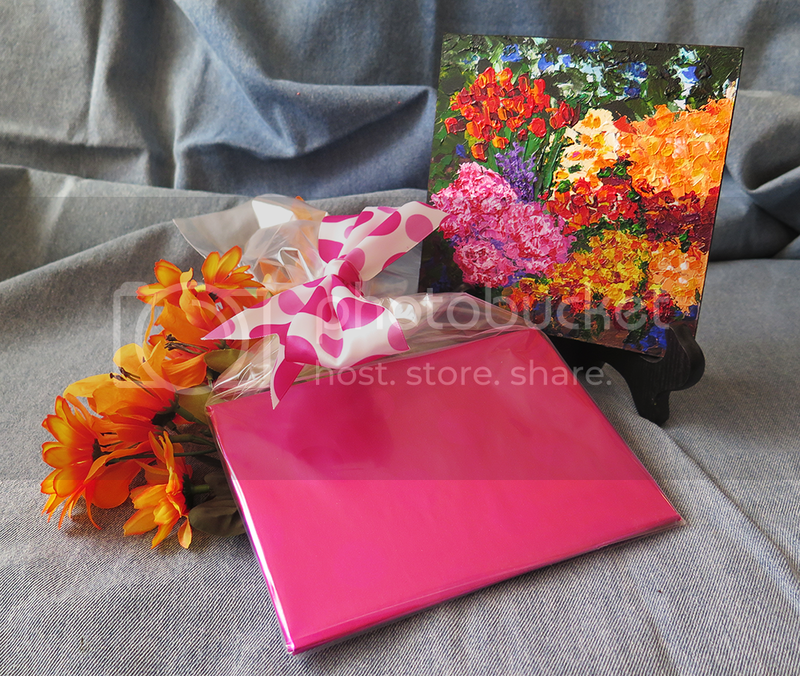 They are the perfect gift for any occasion. Most of the time a painting will look better in person than it does on the computer. But if you are unsatisfied with your painting, you may return it within 30 days of the buyer receiving it for a full refund. Please contact me at juliejboyles@gmail.com with any questions you might have.